This is the second edition of the successful textbook written by the prize-winning scientist Andreas Ziegler, former President of the German Chapter of the International Biometric Society, and Inke Konig, who has been teaching the subject over many years. 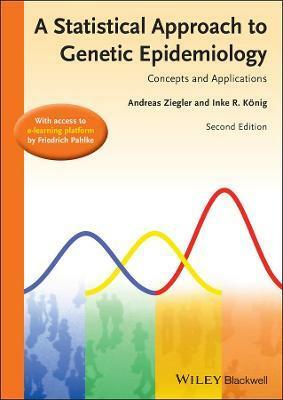 The book gives a comprehensive introduction into the relevant statistical methods in genetic epidemiology. The second edition is thoroughly revised, partly rewritten and includes now chapters on segregation analysis, twin studies and estimation of heritability. The book is ideally suited for advanced students in epidemiology, genetics, statistics, bioinformatics and biomathematics. Like in the first edition the book contains many problems and solutions and it comes now optionally with an e-learning course created by Friedrich Pahlke. This e-learning course has been developed to complement the book. Both provide a unique support tool for teaching the subject.